Fiber Optic Interconnection Units are the smaller basic cabinets and enclosures used in interconnecting, cross-connecting, or splicing applications in LANs at a premise location. 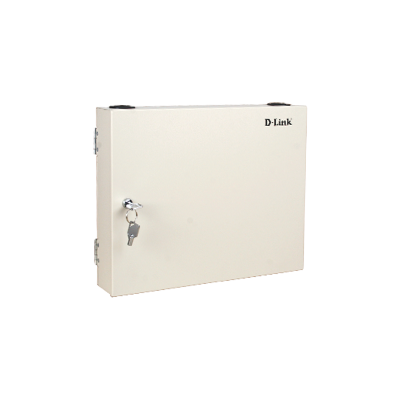 The D-Link Wall Mount LIU is a modular enclosure that provides cross-connect and interconnect capabilities for splicing and terminating outdoor cables & FTTH drop cables in fiber access network. It integrates three main functions of fiber splicing, cable winding & storing, and interface management. The enclosure adopts good quality metal sheets & surface electrostatic spray technique, which is offering safety & good endurance performance. It is the ideal design for building & campus networking. Splice Tray Alum., 0.6mm Thickness 142x116x11mm (LxWxH) 12 fibers/Tray, 2 trays Max.